The newly-crowned British GT3 champion has also led the chase for 2018’s Rolex 24 At Daytona support race prize drive since the first week of August. Now, only Hawkins or Hammond can deny him the trip to South Florida this January when they square off for the Cooper Pro class crown. 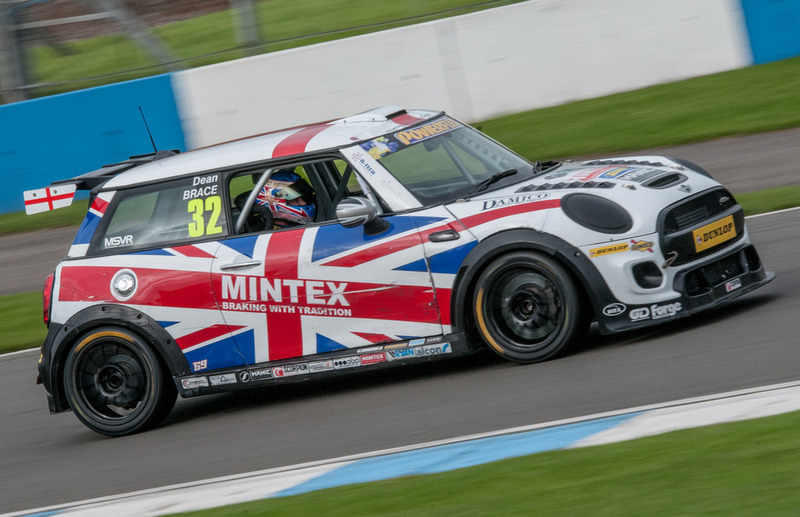 Parfitt Jnr currently leads Brett Smith by just 0.42 points, but – with the Mini Challenge JCW campaign already over – attention switches to Hawkins and Hammond in third and fourth. The pair start the weekend an average 5.2 and 5.46 points behind but could overturn their respective deficits by claiming pole positions, fastest race laps and victories. With both requiring 375 of the maximum 420 points available, it’s clear that one driver must dominate the weekend’s three races if either is to beat Parfitt Jnr. A combination of three wins plus four maximum scores comprising fastest laps and poles would be enough, while six fastest laps/poles are required if one driver records a hat-trick of second place finishes. Achieving that would see them follow in the footsteps of out-going Cooper champion Max Bladon whose dominant 2016 campaign earned him both 2017’s Sunoco 240 Challenge title and Daytona’s support race seat at the wheel of an Aston Martin V8 Vantage GT4. Meanwhile, current Sunoco Whelen Challenge leader Stuart Middleton must wait until the end of October before discovering whether he will be contesting the Rolex 24 At Daytona’s blue riband race after Stuart Moseley maintained his slim but mathematical chance of pinching the prize and crown. The Radical European Masters ace heads to Barcelona on October 28/29 knowing that a low turnout of less than eight entries, which would result in fewer marks available, will prevent him from scoring the necessary points required. But anything above that number offers him at least an opportunity to pip British GT’s new GT4 champion with the final act of this year’s competition. Middleton leads, for now at least, thanks to his final 78.10-point average. Moseley is currently 7.85 points shy of that total and needs 329 of the 420 available across the weekend in order to win the Whelen Challenge. 120 of those can be banked with three fastest laps and same number of pole positions, leaving 209 to find across the three races. Two seconds and a sixth would, for instance, be enough, but with grid numbers and his co-driver’s performance outside of his control, there are no guarantees.